Learn to quickly build your own electronic gadgets that monitor, measure, and react to the real world―with no prior experience required! This easy-to-follow guide covers the programming and electronics essentials needed to build fun and educational sensor-based projects with both Arduino and Raspberry Pi. 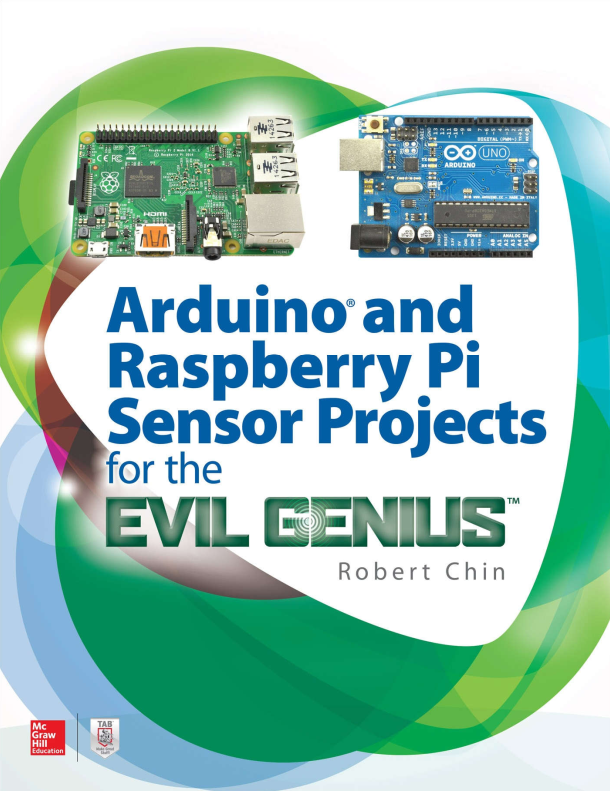 Arduino and Raspberry Pi Sensor Projects for the Evil Genius feature step-by-step DIY projects that use inexpensive, readily available parts. You will discover how to use touch, temperature, moisture, light, sound, and motion sensors―even sensors that detect the presence of a human! Please Wait Book Content is Loading….